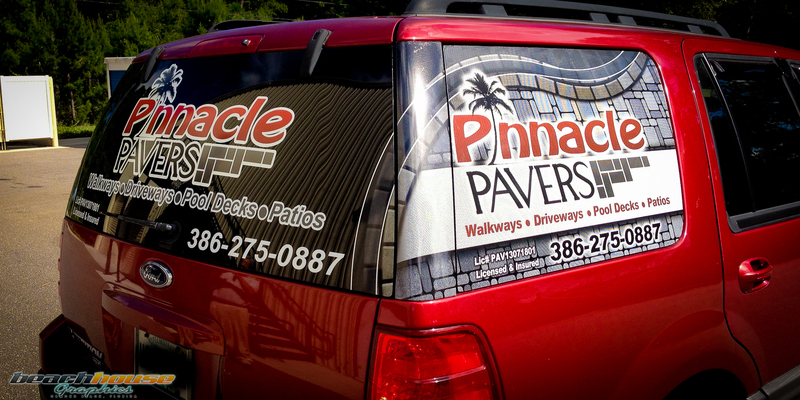 Warren from Pinnacle Pavers brought in his personal vehicle to add some professional high end graphics. 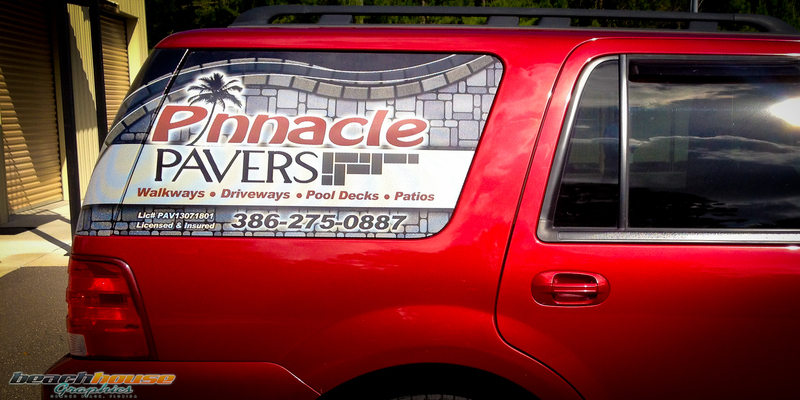 To keep the graphics subtle we applied window perf (two way vinyl) to the back glass windows of his Ford Expedition. See through window film is very common with full or partial vehicle wraps, but there are endless possibilities for this glass window decal. Window Perf: vinyl graphic films that are perforated to allow a full graphic image to be seen on one side of a window, while people can still see through the window from the opposite side. Can be printed to produce full coverage graphics for advertising messages. 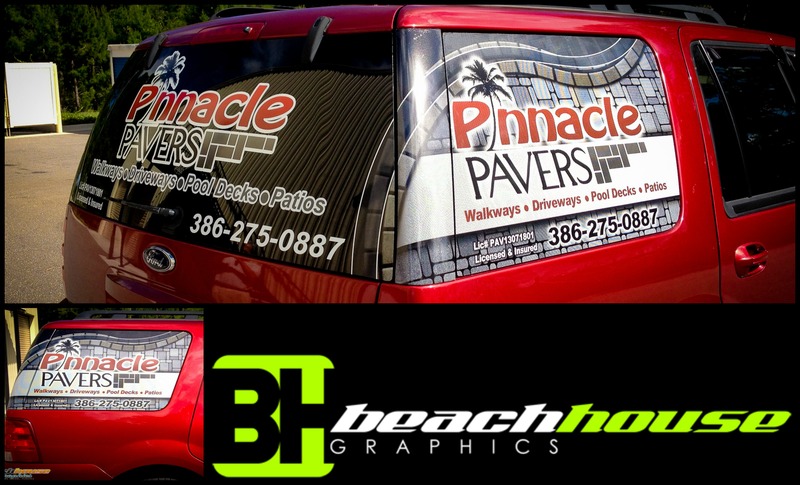 If your interested in vehicle wraps, logo design, window perf or graphics make sure to email us or call 386.256.0998.